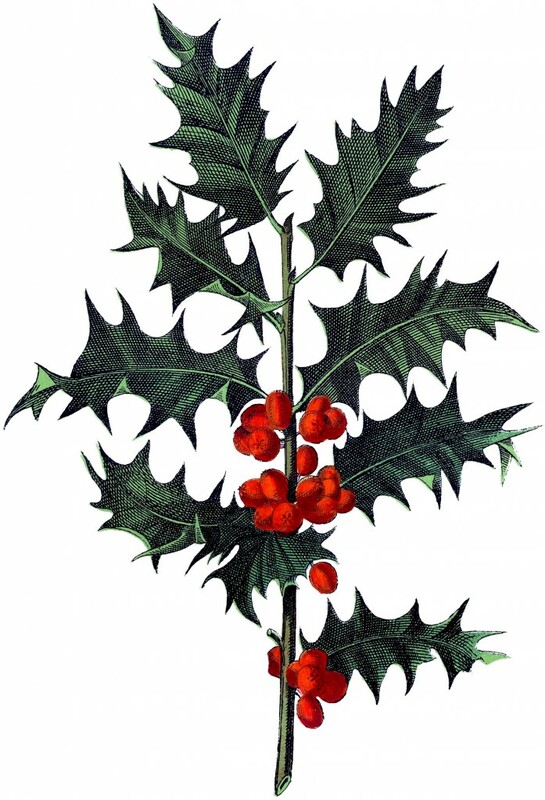 This is a Beautiful Antique Botanical Holly Image! Shown here is a lovely Branch of Holly with Bright Red Berries and green leaves. Make sure you enlarge this to see the detail on this nice Botanical! This one was scanned from a Circa 1887 German Plant Book. Nice for your Holiday themed Craft Projects! You can find another Botanical Holly Image HERE. « Messy Angel Photo Image – So cute! !